Sylvain Charlebois conducted research alongside Simon Somogyi, a Dalhousie University faculty of agriculture associate professor, surveying Canadians' willingness to consider marijuana as a food ingredient and incorporate it into their diet. "Some people may actually prefer to do that, but they need to understand the risks in doing so," said Charlebois. "This could be the next gluten-free phenomenon," said Charlebois, citing the multimillion-dollar industry. "A lot of companies are seeing marijuana as the next trend." Edible marijuana products don't represent the same threat to your lungs but can lead to more severe impairment, Dr. Benedikt Fischer, a senior scientist with Toronto's Centre for Addiction and Mental Health, has told CBC News. 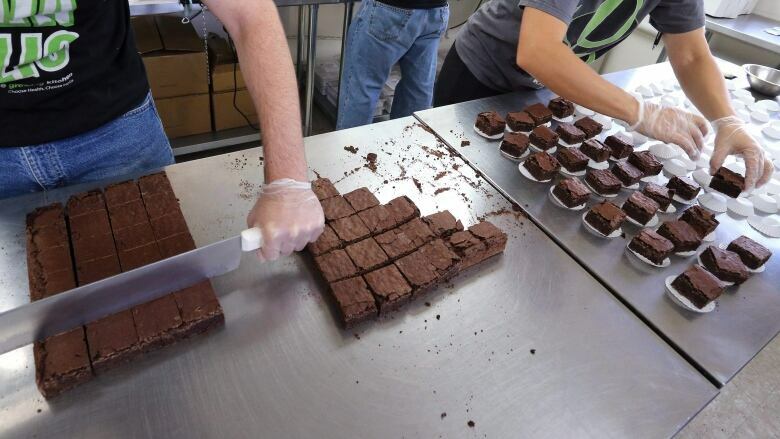 Edible cannabis products often contain THC, the psychoactive substance that gives consumers that "high" feeling, and can come in many forms, including baked goods, candy and cannabis-infused butter. Charlebois said Bill C-45 focuses on the exchange of marijuana, outlining regulations for who can buy, where and who will sell it. He said those guidelines are important, but aren't helpful beyond the point of sale. "People will go home and cook, maybe process it and make all sorts of food products," he said. "Canadians understand the effects of alcohol, but maybe not marijuana in their spaghetti sauce or extra spices in their pizza. The effects may actually be felt one, two, three, even four hours after eating it," said Charlebois, also dean of the faculty of management. Charlebois believes "rigorous policy has a role to play" in food-related use of marijuana.